'Tis the season to make jam and jelly! 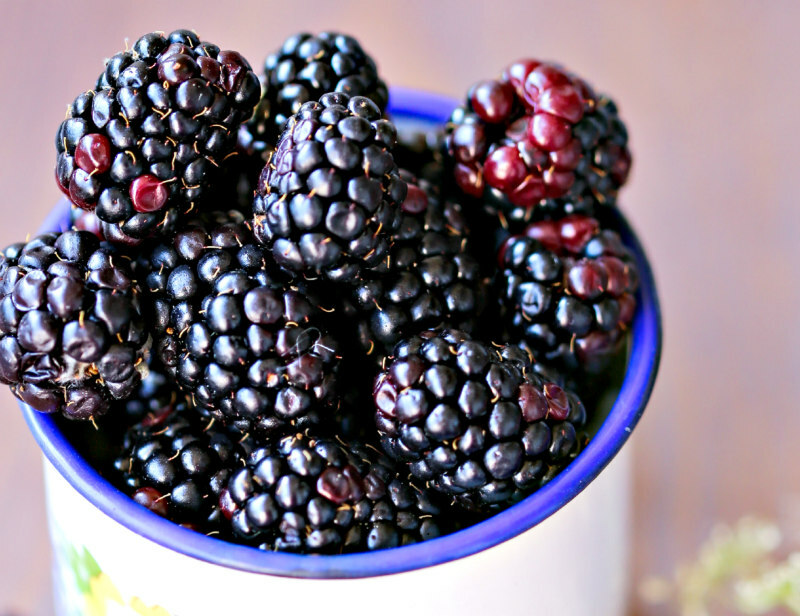 Summer fruits and berries are in season, plentiful and probably at their least expensive. Even better if you've grown them yourself; there is nothing better than sun-ripened berries from your own garden or fruit from your own trees. Homegrown tastes so very good. How can you save all that goodness for later? 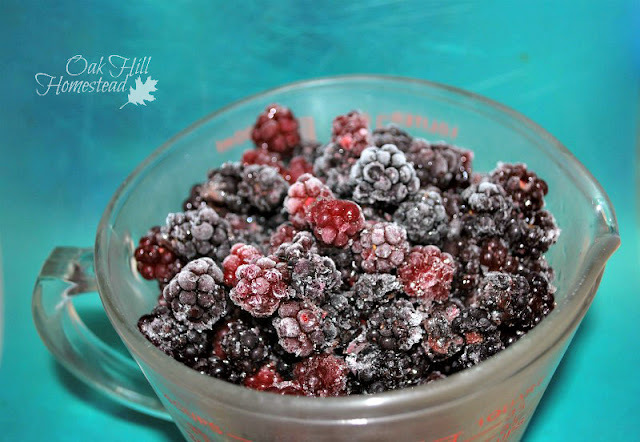 There are several ways: freezing sliced fruit or whole berries, dehydrating, canning and making them into jam or jelly. So what's the difference between jam and jelly anyway? Jam is made from fruit, pectin and sugar. This mixture is boiled quickly until the fruit is soft and thick. It no longer resembles individual pieces of fruit, but you can still see soft lumps of the fruit and seeds (if the jam is made from berries). Jam spreads easily but can be plopped from a spoon into a soft "blob." 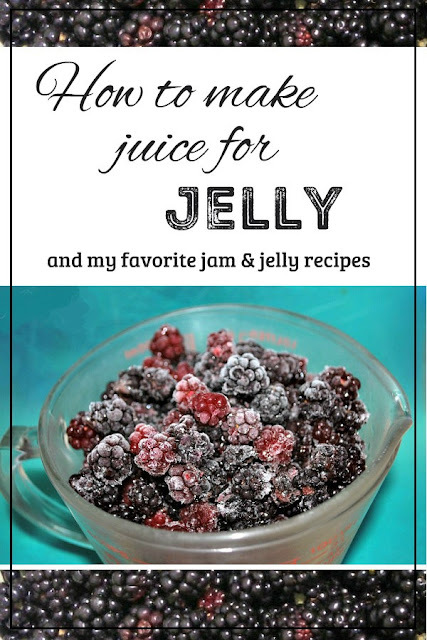 Jelly is made from fruit juice, pectin and sugar. It often includes an acid such as lemon juice. Jelly is also boiled quickly, but then its differences from jam are a bit more noticeable: jelly is clear, and is firm enough to hold its shape. As well as fruit jellies, you can also make jelly from herbs, tea, wine, and flowers such as lilacs and rose petals. Jam is actually easier to make since you can skip the step of making fruit juice, but I love them indiscriminately. Jam or jelly, it makes no difference to me as long as they are tasty! You can do more with jelly and jam than just spread on toast or combine with peanut butter in pb&j sandwiches. They're delicious when served with pancakes or french toast (especially jelly that didn't gel very well and resembles syrup more than jelly), in "dump chicken" made in the slow-cooker, in jam bars, and as gifts for some of your favorite people: family, friends, your fellow office workers, teachers, and your mail carrier, just to name a few. I froze each day's picking of blackberries until I had enough to make juice. Yes, you can use commercial, bottled fruit juice to make jelly, but it's so easy to make juice from your favorite summer fruits. Let's do it! Start by sorting your fruit and discarding any that is damaged or spoiled. Grapes and berries: Wash gently to prevent loss of juice. Place fruit in a large, heavy saucepan and add enough water to keep the fruit from scorching. Mash them in the pan to start the flow of juice; I use my mother's potato masher to crush them. Bring the water and fruit to a boil, stirring to prevent scorching, then reduce the heat. Simmer for about ten minutes until soft. 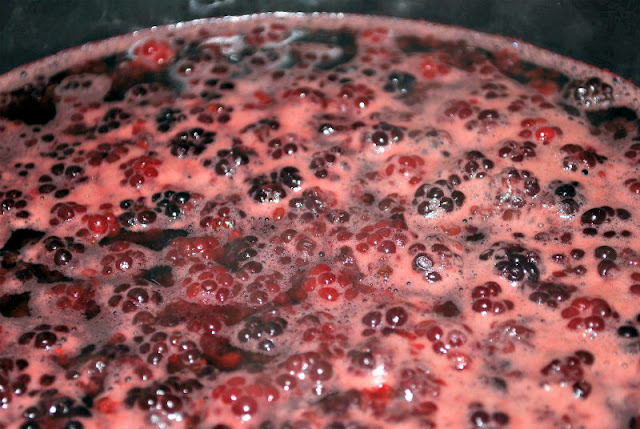 Blackberries only need about five minutes of simmering. Apples and other hard fruits: Wash fruit and chop into small pieces. There's no need to peel the fruit; in fact, natural pectin is more concentrated in the peels and cores. Place fruit in a large, heavy saucepan and add about one cup of water per pound of fruit. Using high heat, bring the water and fruit to a boil, stirring to prevent scorching. Then reduce the heat and simmer for about 20-25 minutes until soft. The time needed will depend on the firmness of the fruit you're using. 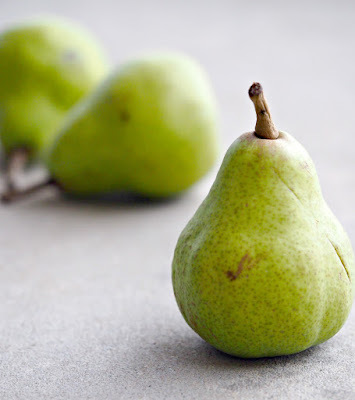 Do not overcook your fruit as this will affect the flavor, color and the natural pectin in the fruit, but the fruit should be very soft and some hard fruits might need to be simmered longer. Extra water can be added if needed. 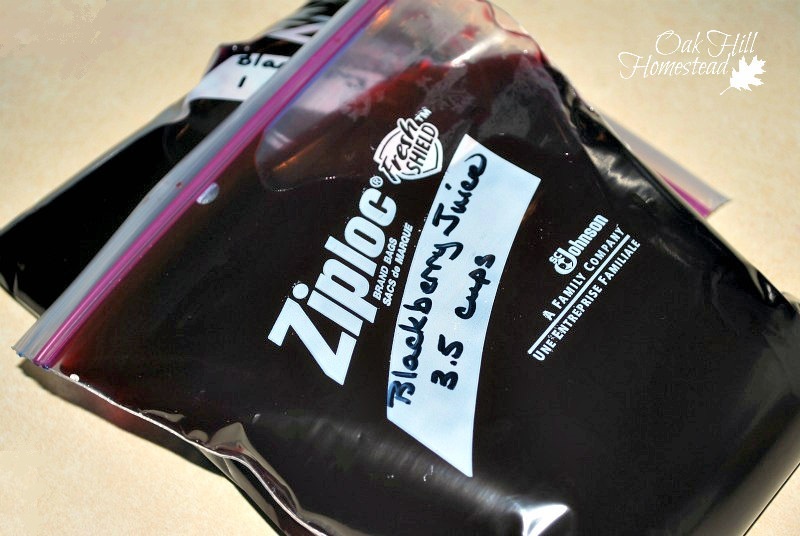 Set up a jelly bag and stand (affiliate links) over a large bowl and pour your fruit and juice into the damp bag. 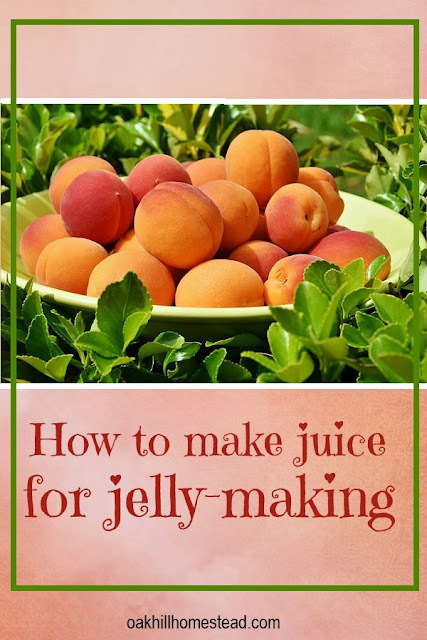 Let it drain naturally without pressing or squeezing for the clearest juice and ultimately, the prettiest jelly. Discard the strained fruit and seeds on your compost pile or give it to your chickens. They'll thank you for it. 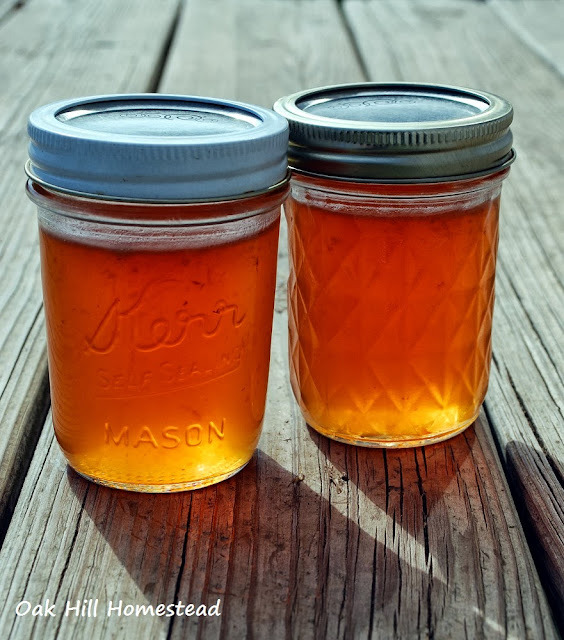 Harvest Apple Jelly made with the apples from our trees. We have several different varieties of apples and I use them all in this jelly. It tastes and smells amazing. 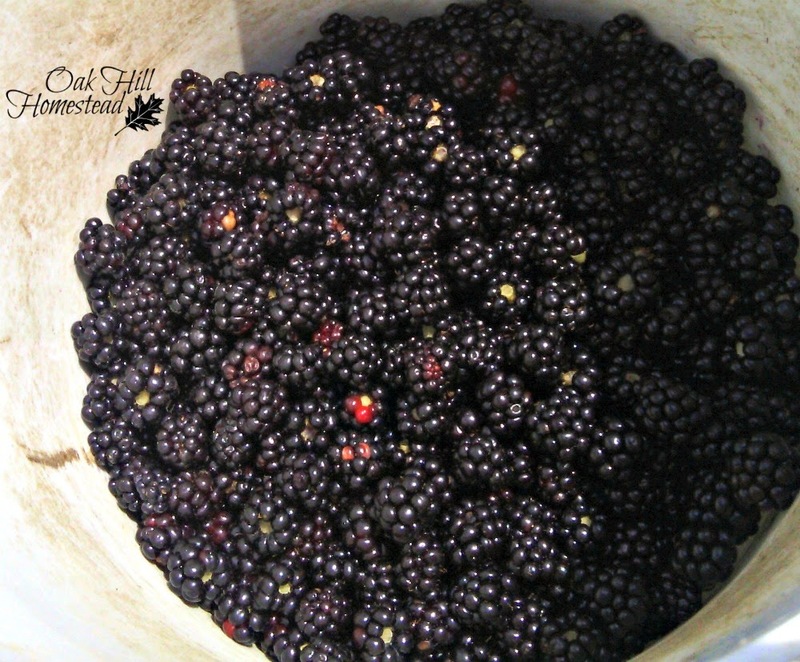 Triple Berry Jam made from strawberries, raspberries and our wild blackberries. I love each kind of berry separately but together they are awesome. Spiced Caramel Pear Jam - we don't have pear trees but I wish we did. Sometimes I'm fortunate enough to barter some from a friend. When I can get them, I make this spiced caramel pear jam and hoard the little jars since they are harder to come by. You can read more about this jam in my post about jam bars. While those are my Top Three, I'll happily top my morning English muffin with raspberry jam, blackberry jelly or peach jam too. Looking for more jam and jelly recipes plus tips and tricks for jam- and jelly-making? 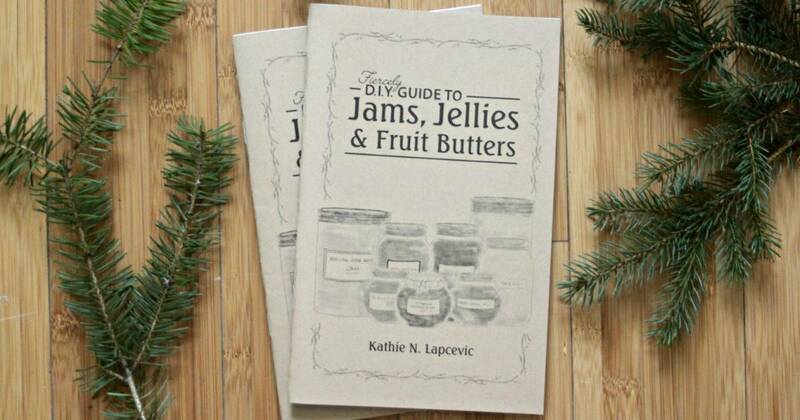 You'll find a delicious selection in The Fiercely DIY Guide to Jams, Jellies, and Fruit Butters by my blogging friend Kathie N. Lapcevic. (That's an affiliate link.) You'll find recipes made with honey and low sugar, plus unusual recipes you won't find anywhere else. I just ordered a 11 quart stainless steel stove-top juicer. It's a 3 piece stack-able cooking unit that allows you to steam your fruits to release their juice. The released juice is collected in a different chamber that has a spigot. It can also be used with herbs and flowers. Cool tool!